High quality and well made good looking shirts. Response from Charles Tyrwhitt: It is disappointing to hear that one of your shirts was delivered in the incorrect size. 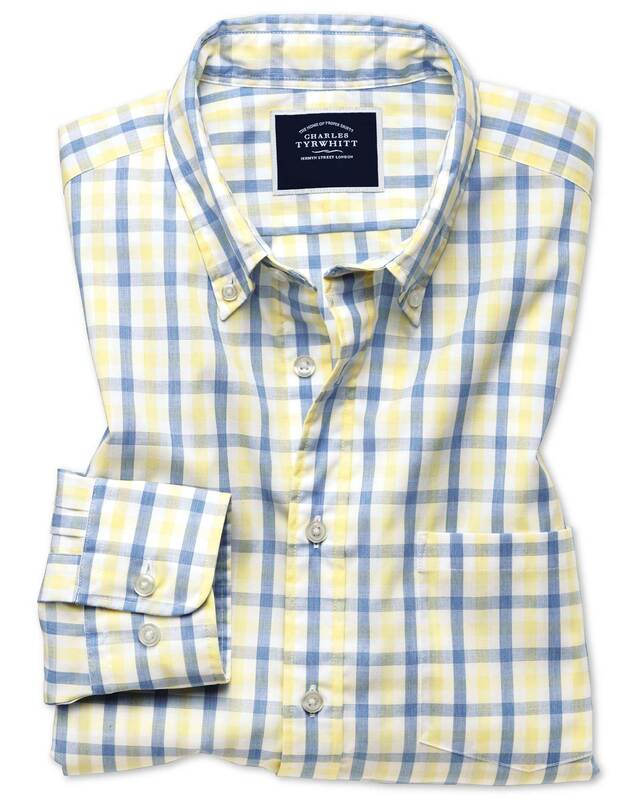 From looking at your order the Classic fit yellow and blue gingham soft washed non-iron cool shirt was ordered in an XXL, so I can only apologise if you have received something different to this. I have sent you a separate email to discuss this matter further. I do hope that we will be able to resolve this matter promptly and have the correct size sent to you. What a great value, fit, and style! The materials look very rich compared to others.